Two trains have commanded significant attention this past summer: the Snowpiercer, the fictional train in Bong Joon-ho’s post-apocalyptic film, and “La Bestia”, the freight train travelling from Mexico’s southern border to Mexico City. The first holds the last survivors of a global climatic catastrophe; the second holds hundreds of Central Americans hoping to immigrate to the United States. For these migrants, like the people at the back of the Snowpiercer, living conditions are deplorable. In his film, Bong introduces us to the passengers in a lineup during a routine check as they sit down, one row at a time, in a seemingly interminable fashion. 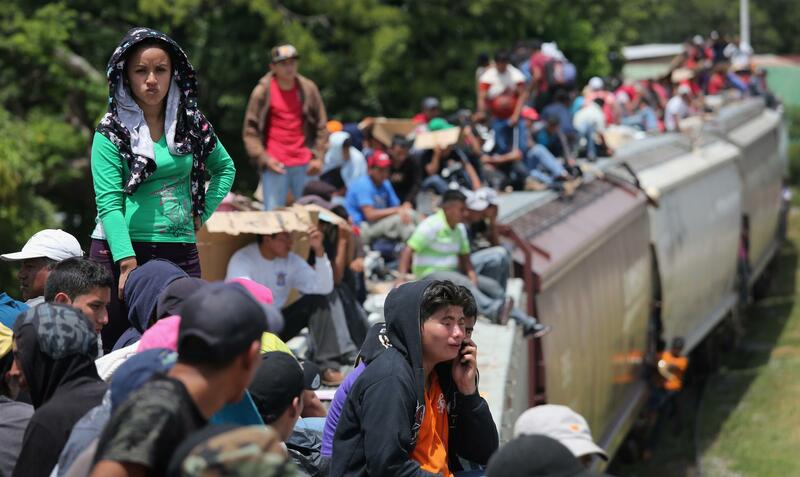 As the images below show, the passengers of La Bestia are less orderly, huddling together as tightly as possible atop each freight car—after all, they are not supposed to be there. In both cases, the threat of death is nearly unbearable: for the fictional passengers, at the hands of stormtroopers; for the migrants, at the hands of drug gangs. So here they are, these two disenfranchised groups, aboard a train that could very well kill them yet, paradoxically, is saving them from the more dangerous alternative awaiting them if they got off it—inhospitable tundra in one, abject poverty in the other. Hundreds of Central American migrants huddled atop the freight cars of La Bestia. There is comfort in the certainty of these arrangements. […] Train time is found time. My main job is to be transported; any reading or writing is extracurricular. The looming pressure of expectation dissolves. And the movement of a train conjures the ultimate sense of protection—being a baby, rocked in a bassinet. Surely this view is shared not only by writers—especially those signing up for Amtrak’s writer-in-residence program—but also by the thousands of people who prefer trains as their means of transportation. Trains can in fact be endless sources of joy and amusement. Perhaps this is why the Snowpiercer and La Bestia present quite the contrasting image: the movement of these trains does not conjure the ultimate sense of protection, but the constant sense of adversity; train time is not found time, but stolen time; the passengers’ main job is not to be transported, but to survive. 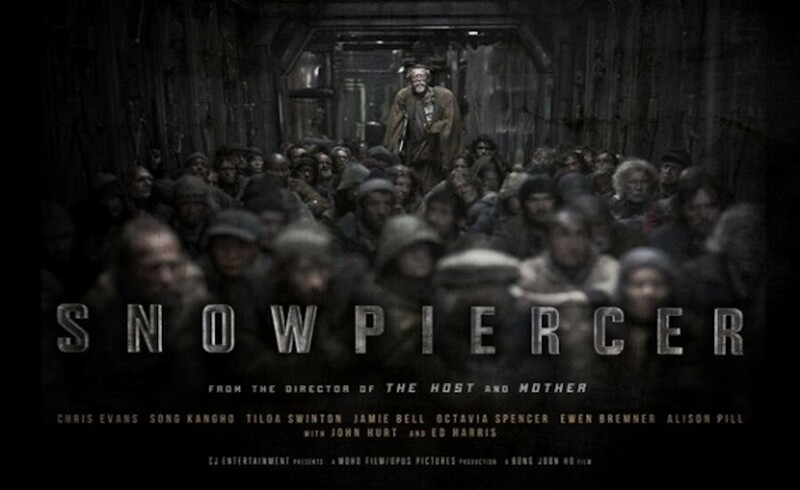 In many ways, Snowpiercer presents a bounded microscopic version of our everyday, our world as future train. The privileged classes’ constant calls for class inequality as a form of equilibrium, along with the literal depiction of the policing of gates between the haves and have-nots, stand as markers of a resilient form of capitalism for the post-apocalyptic era. In this environment, the revolt that fuels the film’s narrative is inevitable, yet it is besieged by pressing questions from the outset: what will the passengers from the back car do if, or when, they reach the front? If, as the elites suggest, the equilibrium between classes is what keeps the train going, what new order could the revolt bring about? Bong’s film brings up these conundrums only at the very end, and offers at least one (rather terminal) resolution. It is unfortunate, but perhaps not surprising, that similar questions have yet to be asked about La Bestia. 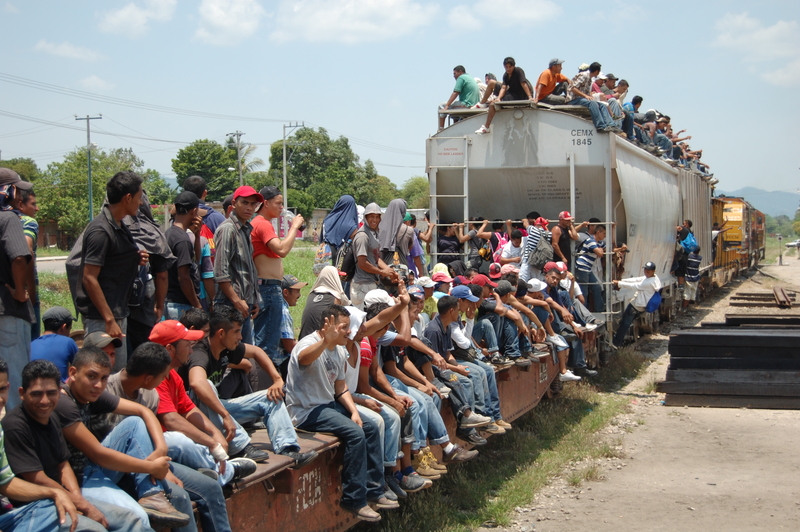 Government officials in both Mexico and the United States insist on addressing the crisis by preventing migrants from boarding the train. However, as many commentators have noted, this would cause a balloon effect where blocking off access to La Bestia will not deter mass migration from Central America, but merely divert it to other channels. And that is because the leg of the migrant trip on La Bestia is not comparable to the back car of the Snowpiercer—that would be the poverty conditions left back home—but to the cars in-between on the way to the front. It is no surprise that these migrants keep on being received with hostility at every station on their journey. Both in the plot of Snowpiercer and in the news coverage of La Bestia, the fixation on the movement of or in these trains proves to be a distraction. The sole focus on the journey obfuscates the journey’s embeddedness in the conditions that give rise to it. Here my analogy between the Snowpiercer and La Bestia, albeit imperfect, betrays a more pressing issue. In the film, the revolt is revealed to be an expected and intrinsic element of maintaining the train’s proper functioning; it is ultimately useless in changing the conditions within the diegetic world. Yet, as a narrative device, the revolt is essential, the action that propels the plot forward. The incommensurability between the revolt’s usefulness extradiegetically and its uselessness diegetically is finally resolved in the film’s deus ex machina: destroy the train, destroy the world. The approach to news coverage of La Bestia proves equally unfruitful. It is a powerful narrative—the tumultuous journey, the multitude of travelers, the countless dangers awaiting them—so it is no wonder that news channels favor it as the anchor to their features and government officials fixate on it as the problem to solve. Yet the continued attention to the train trip is tantamount to missing the forest for the trees. Furthermore, even in light of the most well-meaning efforts to aid the passengers of La Bestia, this focus leads to seeking immediate solutions without accounting for how the problems came to be and how external factors are left unchanged. Part of the reason for this lies, I think, in the appeal of the figure of the train. The journey implied in this figure provides a false sense of (potentially hopeful) resolution because surely the train is going somewhere—anywhere—that is better than where it came from. It is assuming that, although the ride on La Bestia may be difficult, the destination will be worth it when, in fact, this will probably never be true, starting with the hostile reception of migrants at the Mexico-US border and considering the lifelong discrimination and persecution that would await them even if they made it past the border. Therefore, the approach to imaging La Bestia should be closer to that of Snowpiercer: not as a train on a journey, but as a train-as-world. The conditions within La Bestia already stand as a metonymy for the broader issues at play in migration trends from Central America to the United States: harsh living conditions, lack of support from appropriate channels, vulnerability to illegal actors. So it is not that La Bestia transports migrants from their world back home to the new world in the north. Both places are implicated in the same world conditions, and the existence of one informs that of the other. The migrant journeys will continue to be expected and accounted for—and mostly fruitless—unless both their ends are actively challenged and changed. The question then remains of how to effect this imaging shift in practice. How to alter the perspective of trains only as journeys and assess trains as worlds instead? Part of the answer, I believe, lies in changing the event-centered nature of news reporting and governmental action. Both of these are attracted to single, spectacular events at the expense of sustained, slowly unfolding problems. Fascination lies in flashy rapid movement, even if this movement is not geared towards any progress. The time has come to take stock of what really underlies these recurring problems—to reveal what fuels the engine, if you will, and perhaps to stop the train altogether.